The first ever rail ombudsman has come into force with the power to make binding decisions on rail operators. Train companies fund the ombudsman and have 'worked with government and consumer groups' to appoint the position; however it is designed to be independent and rail companies have agreed to abide by its rulings. The ombudsman can also make recommendations to service providers on how to improve and will publish case studies and data to provide insights into common complaints and how to raise standards. If customers are unhappy about how a complaint has been dealt with by a rail company, which would appear to be a common occurrence, they can now appeal to the ombudsman, which, as a body, has expertise in consumer law and alternative dispute resolution. Customers can also use the free ombudsman service if their complaint has not been resolved within 40 working days of the rail company receiving it. The ombudsman will review appeals with a view to resolving them by mediation or by issuing a formal, binding ruling if no agreement. Andrew Jones, the rail minister, said: 'This is a significant step forward for passengers’ rights. This independent ombudsman will make sure passengers are heard and that they get a fair deal when train companies fall short. The service will be provided by the Dispute Resolution Ombudsman and builds on the work that the Statutory Appeals Bodies (Transport Focus and London TravelWatch) which did not have any powers to compel operators to come up with a binding resolution. 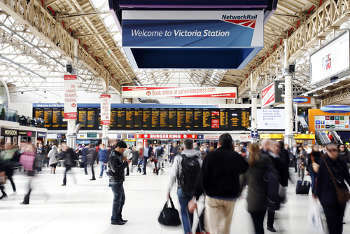 The performance of Dispute Resolution Ombudsman will be closely monitored by the Office of Rail & Road, Transport Focus and London TravelWatch. A spokesman for said: 'Independence is at the heart of everything we do. We are a member of the Ombudsman Association which requires us to have a commitment to independence. • An independent Board of Directors who make sure that the chief ombudsman and his team work free from interference form the rail industry. •	A sub-committee of independent organisations exists to safeguard the Ombudsman from any influence from rail companies.